Alla Manilova, the deputy of the Minister of Culture of Russian Federation, has announced that tourism exchange year 2017-2018 is planned to begin this September. During this year, the numerous events, which are exceptional by its value for future cooperation, will take place. The Bilateral year of Tourism is a possibility to establish a solid ground for further development and promotion of national tourism products. 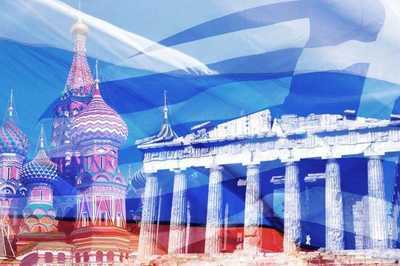 Russian Federation already has experience of participation in bilateral years of tourism, while for Greece this would be their first cooperation of such kind. Angelika Hondromatidu, the director of the Tourism Department's office, expressed that they would highly appreciate the assistance from the Russian side, and proposed to create a working group, which would prepare a comprehensive event program. The bilateral year of tourism gives a possibility to create a ground for future cooperation, enables possibility for development of the shared tourism products, which could be offered for other countries. Prior to the official opening day, the ministries of two countries will sign the common statement on the implementation of the tourism year and will present the event program. Activities will take place in Greece and Russia, which would include shared projects and cultural events.